Project Café USA 2019 is Allegra World Coffee Portal’s definitive analysis of the US branded coffee shop market. The comprehensive report features data gathered from more than 5,000 consumer surveys, over 50 industry leader consultations and insight generated by Allegra’s unparalleled coffee industry network. The US continues to lead global coffee shop innovation across quality and product development, with Allegra recording healthy annual outlet growth of 3.8% in a fiercely competitive market. An influx of international investment is pushing once niche artisan principles into the mainstream across the US coffee and food-focused sectors, with premiumization a key marketing strategy deployed to sustain growth. Allegra anticipates a burgeoning 5th Wave sector will continue to shape the premium market, propelled by growing consumer sophistication and investment from large multinationals. Despite flattening comparable sales growth among leading branded chains, nearly 60% of US consumers surveyed by Allegra visited a branded coffee shop chain at least once a month 2018. This indicates there is still plenty of opportunity for operators who can enhance their customer value proposition in this competitive market. 2018 has seen continued M&A activity and consolidation in the US branded coffee shop market, with premium consumer spend a key battle ground for growth. The three largest coffee-focused chains; Starbucks, Dunkin’ Donuts and Tim Hortons comprise 68.1% of the total branded market. However, Starbucks, Dunkin’ Donuts and German-owned conglomerate, JAB Holdings, now hold a collective 79.2% total branded coffee shop market share, with 28,211 outlets between them. With a 40.1% hold on the total branded coffee shop market, Starbucks is still by far the largest brand and maintains its status as the nation’s favorite coffee shop. Specialty coffee continues to influence mainstream operators and broaden quality expectations, even among fast-food chains and vending machines. Flattening comparable sales among the top three branded coffee chains indicates the sector may be saturating, with all emphasizing quality to boost sales. Industry leaders surveyed by Allegra perceive growth in specialty coffee as the biggest coffee shop market trend while nearly a quarter of consumers surveyed cite coffee quality as the biggest impetus for behind repeat coffee shop visit. The US branded coffee shop market is characterized by fierce competition for increasingly discerning consumer spending. Operators must successfully combine convenience, coffee quality and good location to maintain footfall, with loyalty apps, product diversity and a compelling brand USP all essential factors to success. Rising labor costs, including state-specific minimum wage increases and high staff turnover are among the biggest concerns for operators, while competition for desirable sites has intensified against the backdrop of slowed sales growth compared to 2017. 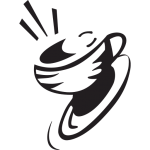 Allegra World Coffee Portal (WCP) is the global information platform delivering unparalleled insight on the global coffee, café and related food-to-go sectors. World Coffee Portal provides data, reports, research and consultancy to help businesses make informed decisions and is the only specialist information platform for senior decision makers in the coffee industry. World Coffee Portal builds upon Allegra Strategies’ nearly two decades of experience in global coffee market analysis.